Young Paperboyz have released the first single titled “I’M A Boss” featuring RacenNext from the Upcoming Mixtape, “Naija Boss Mixtape” which would be coming out in January 2012 off the Bandamusic label. Young Paperboyz is a Hip/Hop, R&B & Pop group. They are Nigerian boyz who are based in ukraine. 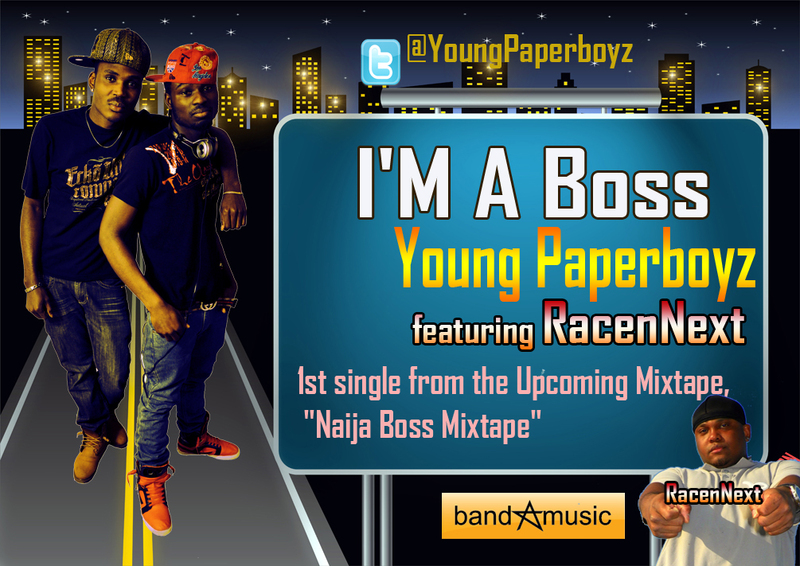 Follow Young Paperboyz twitter @YoungPaperboyz, I’M A Boss Video Coming Soon. Instrumental credited to Meek Mill, Maybach Music Group.